Narcolepsy is a chronic sleep disorder that causes overwhelming daytime drowsiness. About 200,000 persons in the U.S. have the excessive and uncontrollable urge to sleep during the day. In addition to excessive daytime sleepiness, persons with narcolepsy may experience hallucinations and cataplexy, the sudden loss of muscle tone. An exact cause of narcolepsy has not been pinpointed, but may include genetic factors and abnormal brain signals. 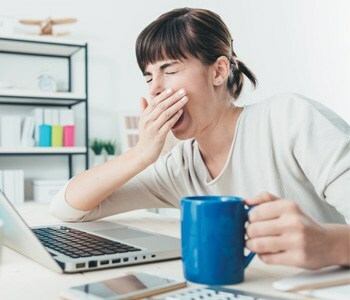 Persons may be able to improve symptoms of narcolepsy by making lifestyle changes such as limiting caffeine, nicotine and alcohol; scheduling 10- to 15-minute naps throughout the day and regulating their sleep schedule as much as possible. For more information on narcolepsy, visit our Sleep Disorders Center webpage or call 573-331-3996.